Reporting an incident is an integral component of Vinehealth Australia’s risk assessment processes. Vinehealth Australia’s capability to assess risks caused by breaches is a requirement under the Phylloxera and Grape Industry Act 1995. Prompt reporting is the key to reducing the impact of an incursion of a pest or disease that could have a negative economic impact on the South Australian grape industry. 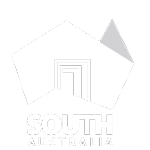 Vinehealth Australia welcomes reports from its stakeholders of any suspicious or unusual looking pests and disease symptoms or any behavior that could lead to a pest or disease establishing in South Australia. Please complete the Incident Report Form below. An investigation will be conducted by Vinehealth Australia’s CEO and Technical Manager. Where there has been a breach of regulatory standards, State authorities will be informed. Vinehealth Australia’s Board will be advised and will maintain a watching brief. Where did the incident occur*?